Knowledgeable Dependable Manufacturer of Premium Diamond Abrasive and Cerium Polishing Products made on location in USA buy Direct. With the support of skilled team of professionals, we are engaged in manufacturing an extensive range of Diamond Fickert Abrasives. 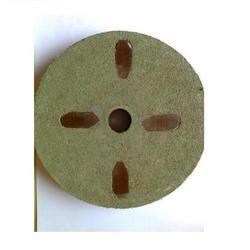 We are a Leading Manufacturer & Supplier of Disc Type Diamond Abrasives in India. We have been supplying our products to all over India. Diamond Abrasives, Diamond Tools, Liquid Polish, Stone Care Polish, Coatings For All Surfaces, Transparent Water Proofing Chemical, Water Proofing, Heat Reflective Coatings, Smart Exterior Coat, Cement Ad-Mixtures, Crack And Pipe Joint Sealing Polymer Compound, Stone Coatings, Water Proofing Membranes, Polymer Putty, Adhesives. 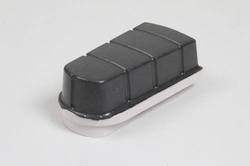 We offer an extensive range of Diamond Abrasive Bonding Frits. Abrasive Bonding Frirs are available in both granular and powder forms. Custom manufacturing services are also provided for specific frit with guaranteed confidentiality. Being a customer oriented organization, we are deeply engaged in offering a wide array of CRK Diamond Abrasive. We are actively indulged in providing our customers a wide collection of Diamond Abrasive. We are actively indulged in providing our customers a wide collection of Diamond Abrasive. Coarse grinding and coating and adhesive removal It has a fast removal rate and the segment have very long life. Frankfurt Diamond Abrasives are unique due to their measurements which are superior to any other segments available, providing them with higher resistance and durability. Best suited for single profile grinding on high productivity machines.